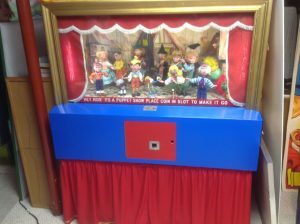 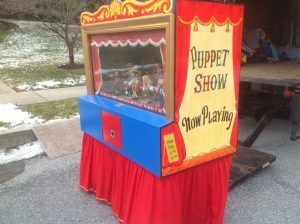 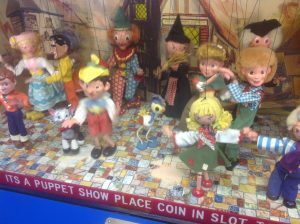 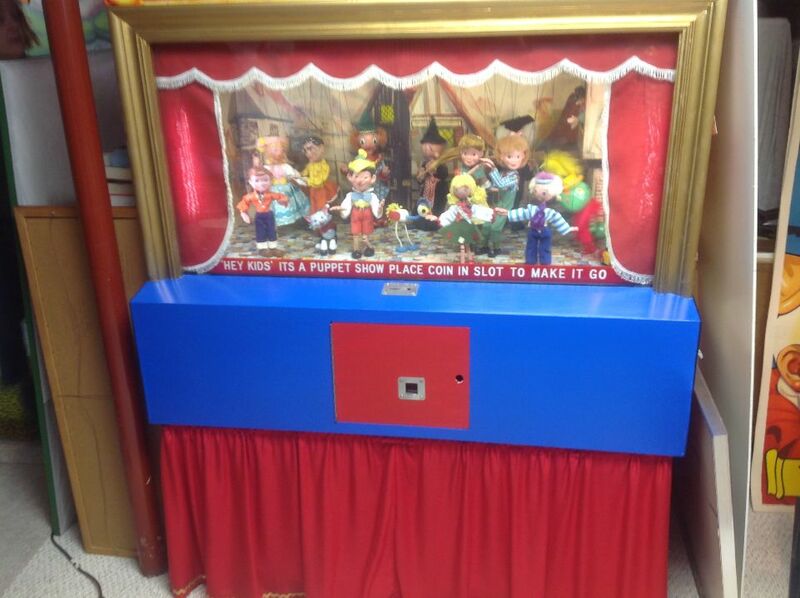 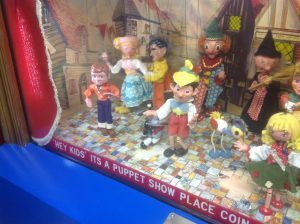 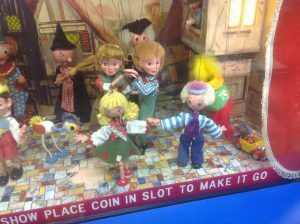 Wonderful old vintage coin operated arcade Pelham puppet show in as found working condition. 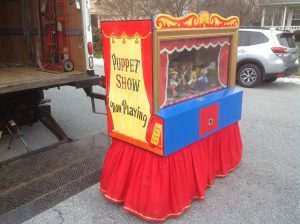 Unit is packed with puppets moving to a pre recorded sound track. 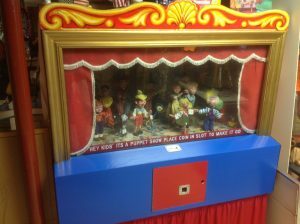 Coin mech will need adjustment but otherwise a fantastic child’s room addition.